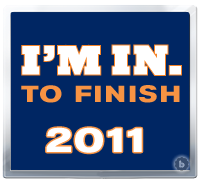 This past Saturday, I ran my 9th and final qualifying race to secure guaranteed entry into the 2012 New York City Marathon. The NYC Marathon is known for being notoriously difficult for getting into. With a lottery that puts approximately 1 in 3 applicants through and qualifying times that are steeper than Boston's, the only other options to run NYC are through a charity or through the 9+1 guaranteed entry option. (There used to be a few other ways but New York Road Runners has done away with them as of a few weeks ago). Because of the difficulty of getting into the New York City Marathon, NYRR has coined the phrase "I'm in" to celebrate those who are "in" for the next race. When I was in Boston for the Boston Marathon this past year, I remember talking to Lizzie, Lauren, Becky and some other bloggers who said that they wished Boston had a similar program for guaranteed entry into the Boston Marathon. At the time, I completely agreed with them and praised up and down how fantastic I think the 9+1 Guaranteed Entry option is. But after finally completing my 9+1, I feel a little bit differently about it. The official rules can be read here but basically you have to be a member of NYRR, complete 9 qualifying NYRR races and volunteer for 1 in the year before the year you want to run the marathon. You must also be a member of NYRR at the time of application to the marathon that you plan to run. You can read the recaps for all of these races on my Race Recaps page here. While the majority of the distances were shorter and I could have done almost all of my races as 4 or 5 mile races if I wanted, I didn't really have that option since I was gone for most of the summer and missed a lot of those races. Whether I had run my races through the summer or not though, 9 races is a lot and after feeling like I was racing every weekend, I really lost a lot of the excitement that makes racing appeal to me from having to do it so often. What bothers me the most about the 9+1 option is that I missed out on a lot of other really great races because I was running races that I really wasn't invested in just to get the credit for it. A 4 miler in February? In Brooklyn? No thanks. A 5k in Harlem? Definitely not. A Half-Marathon in Staten Island? No thank you. Of the 9 races I ran, the only one I would run again is the NYRR Mini 10k...and maybe the Dash to the Finish if it wasn't $50. Speaking of money. Let's talk about how much all of this actually cost me. Membership itself is $40 which you have to pay twice (the year you run your 9 races + the year you run the marathon). Right there we're at $80. The 4 mile races, Grete's Gallop and the Mini 10k were $18 a piece. The NYC Half was $79 (plus a $5 processing fee). The Harlem 5k was $27 and the State Island Half was $25. Add all of that together plus the $156 (plus $11 processing fee) for the New York City Marathon and you're at just under $500. Now, that's not a tremendous amount of money and some of the races, half-marathons in particular are a lot cheaper than what other organizations will charge for the same distance it definitely adds up and I probably won't spend much more than half of that on the races I have planned for 2012 but here I've gone and spent almost $500 just to be able to run the New York City Marathon. If I had known it was going to add up to be that much, I would have opted to run the race for charity. Now most charities have a commitment of around $2500 but I could have put that $500 in myself and gotten the rest donated by friends, colleagues, professors, etc. That evens out to only 40 people donating $50 each or 80 at $25 each, as someone who has done a lot of fundraising, I know isn't difficult to do. Don't get me wrong, I can't wait to toe the line on the Verrazano Bridge next year and whether I got in by 9+1 or some other option, it's definitely a race I want to do. I think that 9+1 is a great way for runners to keep their fitness all year long and have the chance to run a marathon that's so difficult to get into but I wish I would have known just how much this was going to cost me so that instead of giving $500 out of my pocket to New York Road Runners, I could have taken that money and given it to one of the amazing charities that sponsors runners for the marathon. That's my 2 cents. 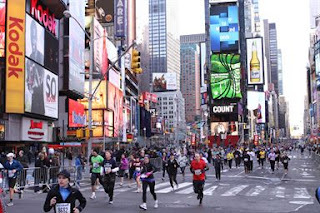 I'd love it if you weighed in: Have you run the NYC Marathon? How did you get "In"? Do you think 9+1 is a good program? Have you run a race for charity? Would you have rather an option like 9+1 or would you do it again? That is certainly a lot of races and a lot of moeny, although I'm sure it lessens the blow since you were able to pay over time as the races happened. But, if you are a good fundraiser, I agree, that money could be much better put to use by raising it for charity. But, at least you are IN! Congrats! I think that all sounds ridiculously intense just to run a marathon! I know the race is in high demand, but that's a crazy qualifying time! 3:00?! I don't quite have the marathon bug yet (I do have the half marathon bug), so I don't think I'll be needing their 9+1 option, but good to know to start saving now if I ever do. Can't wait to read about your NYC Marathon training over the next year, super exciting! I got into the NYC Marathon this year by 9+1 and by running the actual marathon Sunday, I finished my 9+1. Doing the 9 races typically isn't so bad for me as I do all of the club points ones for my running club. I appreciate that NYRR has a 9+1 for locals so we can get into the marathonin our own back yard. I agree with your point though that it is a lot of money entering all of those races and can become a bit of a burden at points. I'm not sure if I'll do it next year (depends on my school schedule) so we'll see....it was a cool experience though. Just ran the NYC marathon and qualified with 9+1. When you see the logistics that go into getting the Marathon off and finished smoothly, you will see why they need the money they charge. Thank goodness for 9+1, it allowed my wife and I to fulfill a dream and cross the finish line together holding hands. 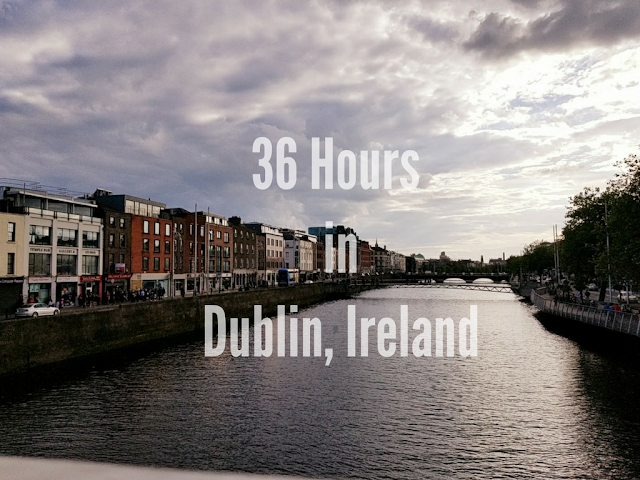 It was the experience of a lifetime. Good luck and I hope you enjoy it next year. The Marathon indeed starts at Mile 20. Brace yourself.... but have FUN! Glad I got your personal input on it, but I'm still going to do 9+1 so I can make sure I run it. It's been a dream of mine since I was a little girl. Luckily I made the last cutoff for the "3 strikes and you're in" rule so if anything I'll be running the race in 2014. If I get the itch to run it in 2013 though, I'll keep this in mind. It is a decent amount of money for semi-basic races. I can really only see myself spending that kind of money on bigger, well known runs. But hey..you're in! :) Good luck next year! i too made the final 3 years out in the 4th cut, and i actually didnt know about the 9+1. i think its actually pretty cool but i definitely see where you are coming from. you have such a kind heart and i have no doubt you would LOVE running a race for charity. it means SO much more than just signing up and running. its crazy to think of the amount of money we spend on running, huh? Join the 15th Annual Team Spirit Long Beach 5k and 10K marathon and help put an end to breast and ovarian cancer today! The Team Spirit Long Beach 5k and 10K marathon is going 15 years strong. To celebrate, were giving away a silk tie and silk scarf to the first 15 people who raise $1,500. Create a team and start fundraising!